Ever wonder what a live Christmas Tree brings into a home other than happy holiday cheer? For those with Christmas Tree Allergy, a live conifer will also bring allergy and asthma type symptoms that manifest within a week and not uncommonly as soon as 24 hours after introduction into the home. It is estimated that about 7% of allergic patients suffers to some degree, Christmas Tree Allergy. Sneezing, wheezing, nasal congestion, and transitory rashes are the most common symptoms of Christmas Tree Allergy. It is known that conifer pollen has little or no clinical significance, so why the allergy exacerbations? 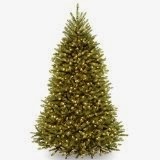 A few allergists have attempted to discover what causes Christmas Tree Allergy through home mold and pollen studies both before and after a live Christmas Tree was brought into the house. In summary, ALL live trees exhibited HEAVY growth of mold including penicillium, epicoccum, and alternaria. However, such mold did not appear to become airborne and disperse into the rest of the house, rather remaining localized to the immediate vicinity of the tree itself. However, such was not the case with pollen. Live trees contained significant amount of ragweed, grass, and tree pollens that DID become airborne. Presumably, such pollen accumulated directly on the tree as it grew through the years and released them into the home as a Christmas Tree. It was also noted that a further spike in pollen counts occurred about 2 weeks after the Christmas Tree is brought into the home presumably due to retained pollen particles that are released as the tree dries out. It was also found that the sap on the Christmas tree is responsible for the transitory rashes that individuals often experience. This rash likely represents a contact allergy to the oleoresin of the balsam. Ideally, don't bring a live Christmas Tree into the home! But, if you do, "vigorously" wash down the tree first to remove as much of the pollen and mold before bringing it into the house. Also, don't place the tree near an air vent. Wear gloves and long sleeves to prevent skin rashes from sap contact allergy. Hypersensitivity reactions to christmas tree extracts. Ann Allergy. 1969 Sep;27(9):461-4. Hypersensitivity reactions to Christmas tree extracts. W V Med J. 1970 Mar;66(3):81. Identification of mold on seasonal indoor coniferous trees. Ann Allergy Asthma Immunol. 2011 Jun;106(6):543-4. doi: 10.1016/j.anai.2011.03.003. Epub 2011 Apr 12.